Nolte State Park is a 117-acre (47 ha) Washington state park located 6 miles (9.7 km) northeast of Enumclaw and just south of Cumberland at the western edge of the Cascade Mountains, with 7,174 feet (2,187 m) of shoreline on Deep Lake near the Green River Gorge. The property was a resort for many years before it was donated to the state by Minnie Nolte in the early 1970s. There are rainbow trout, coastal cutthroat trout, kokanee, crappie, and brown bullhead in the lake. The lake has a public fishing pier, beach area, and a hiking trail around the lake. The boat launch is carry-in only with limited parking. Deep Lake has a surface area of 39 acres (16 ha) and reaches a depth of 76 feet (23 m). ^ a b "Nolte State Park". Geographic Names Information System. United States Geological Survey. ^ a b "Nolte State Park". Daffodil Valley Times. Retrieved February 16, 2015. ^ a b "Nolte State Park". Washington State Parks and Recreation Commission. Retrieved November 9, 2017. ^ "Deep Lake". Fishing & Shellfishing. Washington Department of Fish and Wildlife. Retrieved February 16, 2015. ^ "Deep Lake". 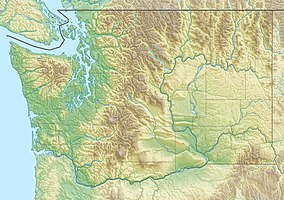 King County Small Lakes Information and Data. King County. Retrieved February 16, 2015.